This investment should bring some cheer to the online publishers and bloggers – According to press release sent to us, Accel Partners has completed ‘Series A’ investment in Trivone Digital, a Bangalore-based digital media and content company behind sites like www.techtree.com, www.channeltimes.com and www.cxotoday.com. The details of funding have not been disclosed. According to Trivone’s promoter veteran journalist L. Subramanyan, the proceeds of the investments will be utilized to build several Digital media properties in specific verticals and increase its presence in the Digital Media landscape in India. The release states that this funding will also enable them to offer managed services to clients. Of the Trivone’s 3 portfolio websites currently, Techtree.com is relatively popular in Gadgets and Technology space in India. 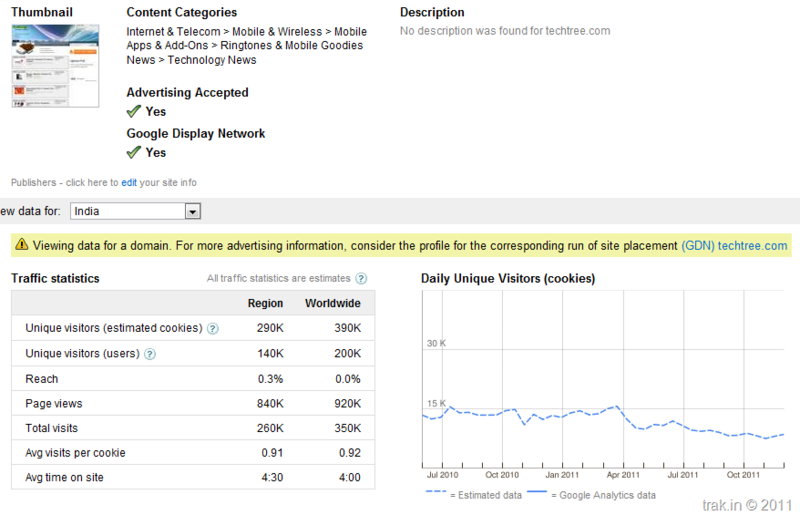 According to Google Ad planner report – Techtree gets about 400k unique visitors with about million pageviews a month. 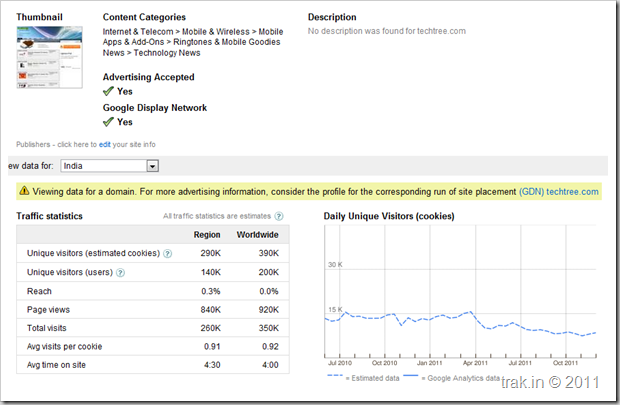 The other 2 portfolio sites of Trivone – Channeltimes and CXOtoday do not seem to have significant traction as of now. However, being a publisher myself – I am glad that VC’s are now open to putting in money and believe in growth of online properties in India. Do you think we will see more investment in online media publishing space?